Itinerary Software for all Travel Types! 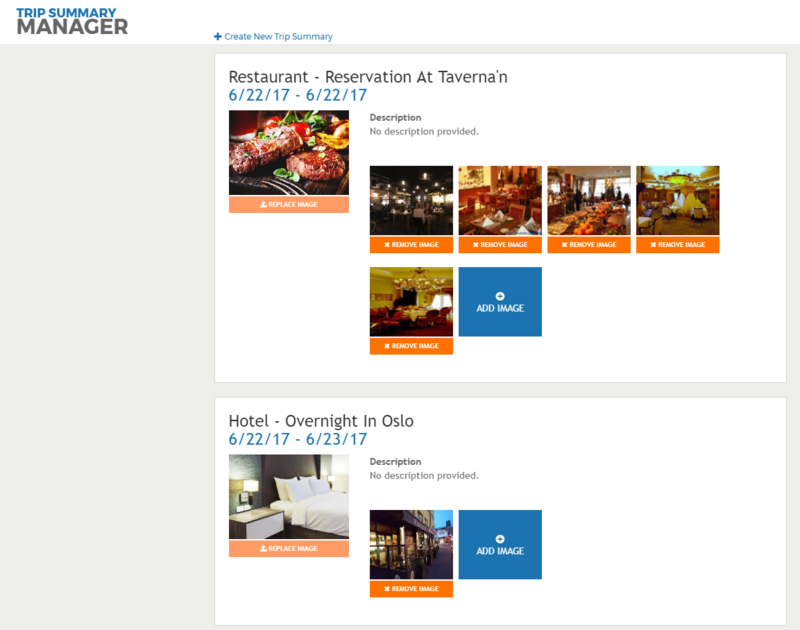 Manage travel itineraries with support for all travel types! Trip Summary is a travel itinerary software that makes it easy to add various types of travel when managing itineraries for clients of travel businesses. 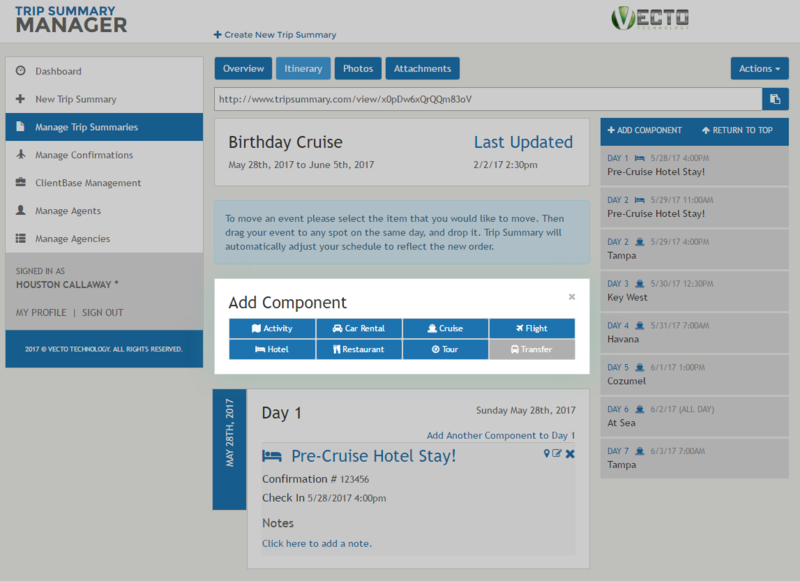 Each travel itinerary component is built to support information the client may need for their method of travel. And for travel components that don't quite fit anywhere else, Activity is a catch-all in our travel itinerary software! Travel Agents can manage itineraries through our travel software by adding custom images, or selecting from a wide range of available images to add to each component. By having the ability to manage a clients travel itinerary, travel agents can show clients exactly where they are traveling, and the highlights of each component with beautiful visuals, all while using the easy management interface of Trip Summary.